KP Engineering’s Motichur Laddu Making Machine is one of the innovative way to make traditional motichur laddu with consistence quality. We are involved in manufacturing a wide variety of Laddu Making Machine for our valued patrons. We have highly acknowledged organization engaged in presenting a remarkable range of Ladoo Making Machine. Usage/Application: Rajgira, Bundi, Murmura, Rice Ball, Besan, etc..
we are offering wheat ladu churma making machine. Banking on our enriched industry experience, we are able to supply Laddu Making Machine. 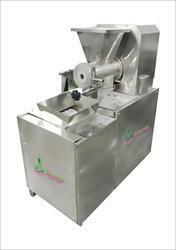 We are a top-notch organisation, engaged in providing Laddu Making Machine. Available in Full SS body / MS powder coated Frame. Laddu is an inevitable Indian delicacy. But colossal demands during festivals often result in ill – health due to hoarding of stale sweets. Moreover dearth of labor adds to its cost. And labor introduces hygiene issue. Moreover, exposure to sweat or other obnoxious substances in the hands of the maker adds to the down gradation of the flavor. 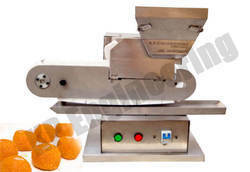 Banking on our enriched industry experience, we are able to supply Ladoo Making Machine. In order to meet excellent quality standards, we are supplying Laddu Making Machine. Our reputed entity is engaged in supplying Laddu Making Machine.